Buildfix Electricians are highly competent at dealing with all types of jobs. Electricians can carry out work that needs to be notified to building control Part P and we are certified with the National Inspection Council for Electrical Installation Contracting (NICIEC) and our electricians can arrange for the appropriate certification. This primarily would include the installation of new circuits and alterations to existing circuits, If this is what you require please give Buildfix Electricians of Stafford a call – we can insure the work is carried out to a high standard and the appropriate paperwork is provided. Whatever the problem give Buildfix electricians a call. We’ll find the right solution at a sensible, price. Buildfix Electrical staff are professionals who understand that success depends on providing excellent customer service – friendly, reliable and precise. The regulatory body NICEIC provides yearly checks to ensure that our working practices conform to health and safety standards, as well as adhering to the current edition of BS7671 (IEE Wiring Regulations). For an Electrician in Stafford. 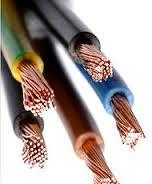 for more information about the electrical services which we provide through out Stafford and Staffordshire as a whole. 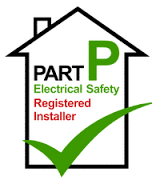 Electrical work is carried out in accordance with UK legislation for Part P.